ANPING COUNTY GREENZOO GARDENING SUPPLIES CO.,LTD, establish in 2003, located in world famous wire mesh products hometown --- Anping County. After 15 years’ effort and development, we have become one of the leading carbon filter series manufactures and supplier in China. Which covers more than 20 000 square meters and has more than 150 professional employees. We have been enjoying high reputation in carbon filter market domestically and internationally. We have been manufacturing filters products since 2003 year, including hydropinics carbon filter, grow tent, grow bag,bubble bag, and inline fan. 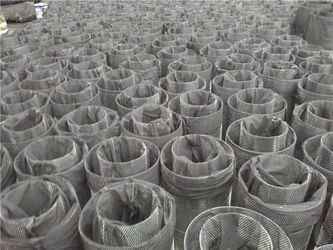 We also supply other filter products, chemical activated carbon filter cartridge, cardboard air filter, metal air filter, dust filter cartridge, and activated carbon filter mesh. Our company have series advanced manufacturing facilities, such as 1 set complete filling activated carbon particle machine for carbon filters, 8 sets filter fabric medium pleating machines, ultrasonic welding machine, double components glue injection production line, single component glue painting production line, PU production line, stamping production line, lathe, milling machine and other filters professional facilities. Meanwhile, we have advanced testing facilities and rich manufacturing experiences. Our filters production includes activated carbon filters, dust collector filters, primary efficiency air filters, medium efficiency cardboard panel filters, medium efficiency pocket/bag filter, high & medium high efficiency air filters, hydraulic oil filter for excavator/ road roller/ other engineers, air compressor filter, industrial disc filters, etc. We strictly comply with ISO 9001: 2000 international quality management system to ensure excellent filtration performance. We also have strictly quality control, We insure that there is no poor quality. Our customer is retailer or wholesaler not personal,we won't let them receive a complaint or lose their end customer because of poor quality. Another, We are located in wire mesh town，so we have top quality raw material and good price, so our products also have advantage compared with other supplier. At the same time, we have excellent engineers, constantly developing new designs to meet customer needs and reduce costs. Therefore our filters products could be ideal alternative of world famous brand filters. Like as Can filter, Rhino filtrer and so on. Our hydroponic filters series mainly export to the USA, the UK, Canada, Australia，new Zealand and other Europe country. Other filter products export to worldwide. We have excellent team, professional sales man, engineers, careful production workers, strict quality control department, and perfect after-sales service people. Our aim is to be united, focus on product quality, customer service, do our best to meet the requirements of our customers. We believe that with our efforts and the support of our customers, the company will develop better. Before 2003 year, we were a very small company, not even registered producing filter products and sells in domestic. After several years,we have rich production experience. Then established and registered our own company- Anping County Jiujiu Filter Equipment Co.,ltd. At that time, the company own to the big boss , Mr Wang, aslo sells filter products in China. When 2008 years, Mr Wang is old, his daughter Mrs Feng and his son Mr Rui Operating this company. Mr Rui develop air filter series, Mr Feng develop carbon filter series. At same time,we move to a big factory , there is 8 work shop to produce . So our company has many filter products, we are really manufacture and not trading company, we have price advantage. 2010 years, we export filter products to other country by trading company, , not only focus on China market. Our good products should be known in other country. But we find that foreign customer buy our goods with much higher price than we give trading company. So, our company hired some excellent international talents and established our own export department in 2012 years. Then, foreign customer can buy our goods with lower price. Developed to the present, our company is strong and have rich export experience, our filters sold in worldwide. Maybe you are using our goods now. ANPING COUNTY GREENZOO GARDENING SUPPLIES CO.,LTD is one of one of confessional manufactures which focus on filter products, like as carbon filter，activated carbon filter mesh, chemical activated filter cartridge, we also supply goods used with carbon filter, grow tent, grow bag, bubble bubble bag, noise reducer and inline fan. 1 We are manufacture and trading combo, export goods by ourself, can control delivery time and quality better. And we have rich export experience. 2 OEM is accept, we help customer develop their brand, design their logo and do it in the goods . So they have their market. 3 We introduce different goods according different country to fits their market. Also provide unique design for customer. 4 We supply our free sample for customer to test quality, also accept sample design send by customer, we could do same products according customer sample. We have advanced production equipment and excellent engineers. We continuously improve our production technology, develop new designs, reduce costs, and bring more profit to our customers. Our work team and after-sales team guarantee high efficient after-sales service for our products sold to world wide. DHL Cosco group, FedEx, China shipping are our partners. Choosing ANPING COUNTY GREENZOO GARDENING SUPPLIES CO.,LTD. You will enjoy your value-added and one-stop service, it’s our duty forever. Our carbon filter and related products covers a lot of size and meet your needs as much as possible. We keep designing and developing new to make better carbon filter. Also, we accept your special design and your require to meet your market. Welcome inquiries from all over the world, we are happy to quote you, according to your needs. 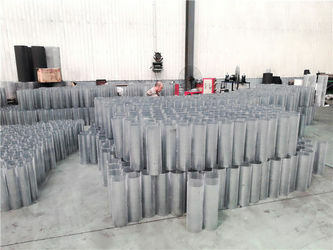 When you make an order, and we receive the 30% deposit, our procurement staff will buy raw materials right away. Quality staff will check it when it arrived. After that,start production. 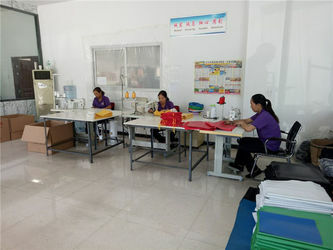 Workshop workers will carefully carry out each production process. 20% sampling detection before the raw material storage. Before mass production, we will firstly test 10 sample in each process every day. 100% inspect before package. Check the packaging and quantity before shipment. Ensure your products keep perfect.